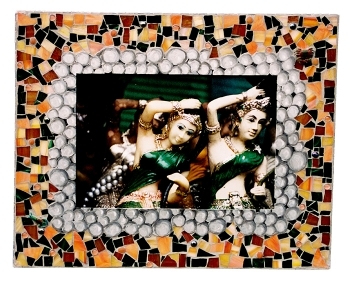 color photo handmade mosaic frame 33" x 37"
Plastic Statues photo was taken in Chiang Mai, Thailand at the famous Wat Phra That Do I Suthep. 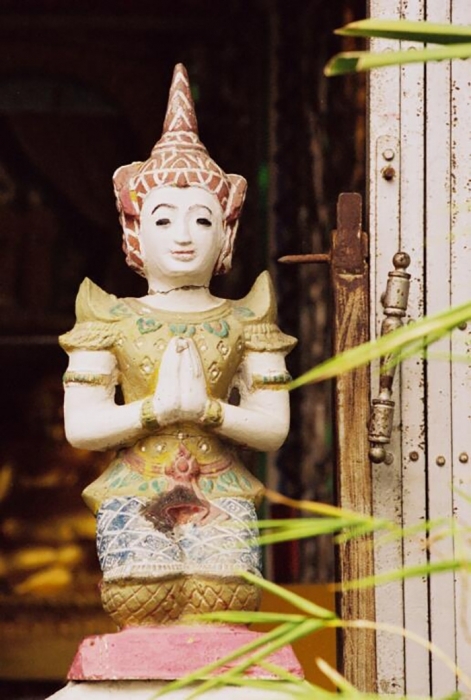 They were cheesy statues for sale at a souvenir kiosk but I found them to have powerful symbolism. 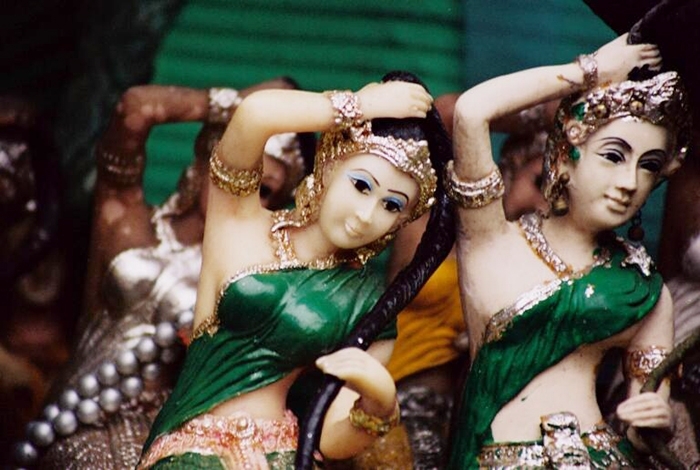 Throughout Thailand you see these costumed images of couples in dance. I like them because they represent the yin and yang of life. I would hang this piece to remind yourself of the dance between male and female and the duality in our nature.